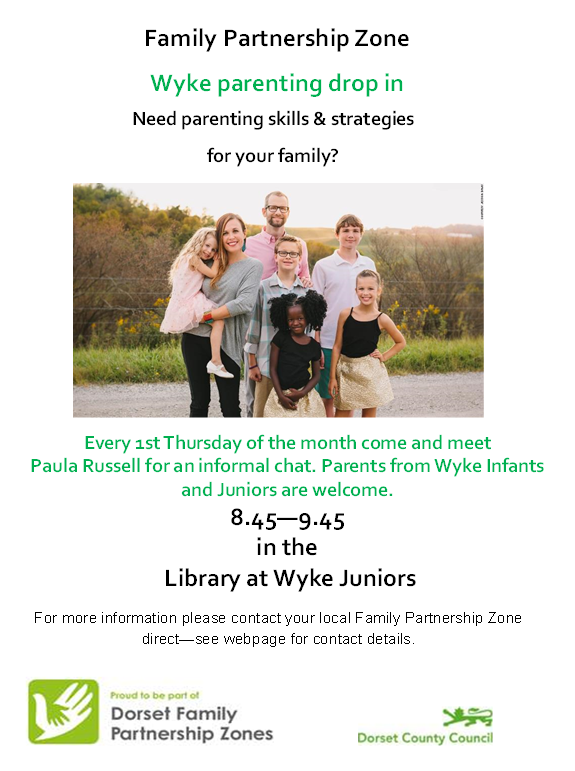 On the first Thursday of every month, Paula Russell, a family worker at the Chesil Family Partnership Zone, will be running an informal drop in workshop for parents wanting some support with a wide range of parenting issues. The sessions will run from 8:45am – 9:45am in the Junior School library but, of course, parents from across the Federation are welcome. Please feel free to drop in for a chat and a tea/coffee.